Famously a flop when it was first staged in 1958, Harold Pinter’s The Birthday Party later became recognised as a trademark comedy of menace in which absurdist humour meets enigmatic suspense. The mundane if eccentric routine of a rundown seaside boarding house is threatened by the unexpected arrival of two strangers who target the only guest, Stanley, on his birthday. The precise meaning remains elusive. Has Stanley been lying low after some gang betrayal and have the two men come to punish him? Or do they embody various forms of guilt that pursue Stanley in a Kafkaesque existential nightmare? But the dialogue mixing everyday rhythms with surreal flights, where words are used as weapons and memory merges with fantasy, is brilliantly entertaining with many laugh-out loud moments. 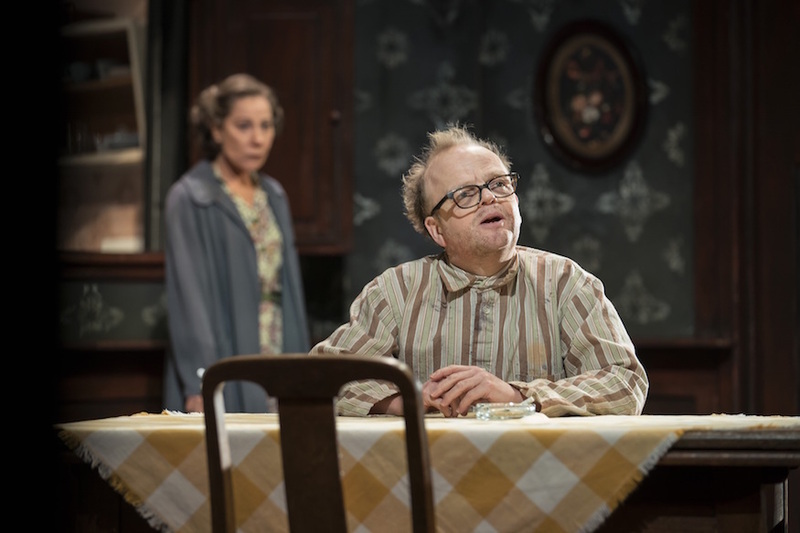 Toby Jones is perfectly cast as the oddball recluse Stanley, portraying him much more aggressively than the usual passive loser, as a psychotic child-man. Successfully playing against type, Stephen Mangan flashes a shark-like smile with his belligerent bonhomie as chief interrogator Goldberg. 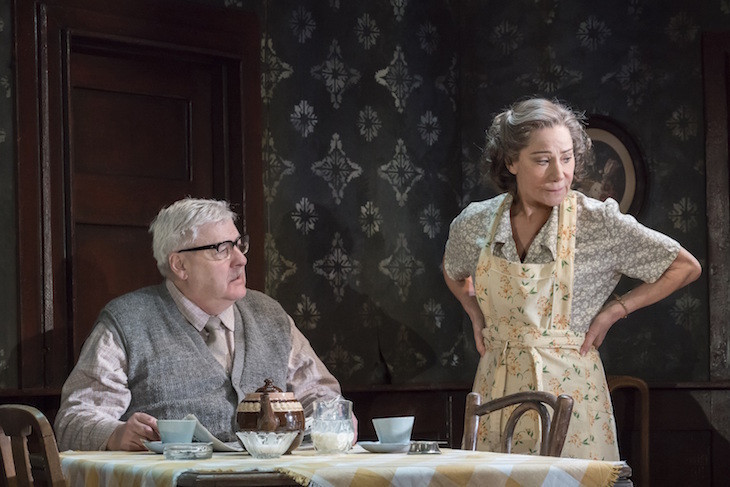 And Zoë Wanamaker is both delightfully dotty and touchingly needy as maternal landlady Meg. 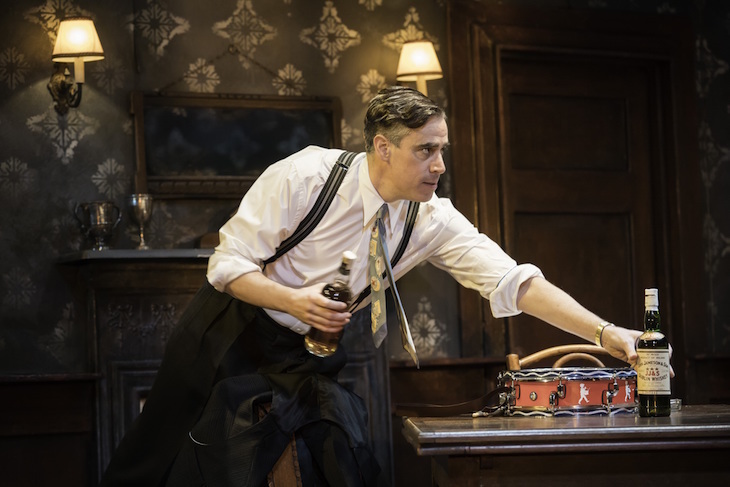 Set in a faded breakfast room with peeling wallpaper and murky windows (by Quay Brothers), Ian Rickson’s superbly balanced production does full justice to Pinter’s mysterious yet accessible early classic. Happy 60th! 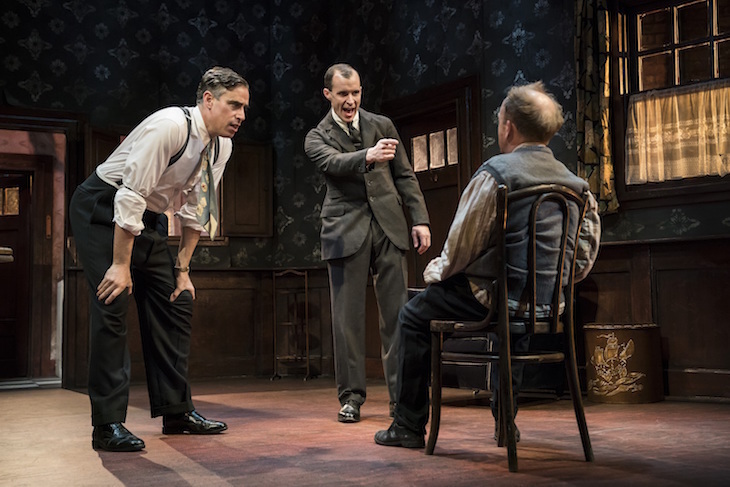 The Birthday Party, Harold Pinter Theatre, Panton Street, SW1Y 4DN. Until 14 April 2018. Tickets £15–85.